Why Reform Global Finance? Stresses and Imbalances—Ethical Markets 2offers insight into economic policy craft impacting foreign direct investment projects in developing countries. The developing country financial crisis of the 1990s, sparked by failed international economic policy led to reductions in the value of floating currencies. Induced by short-term returns generated from international development projects, instability in developing countries signaled investors of the perils of funding seed projects without the proper constraint of adequate market controls. Corruption and regulatory lag are at the center of the discussion as countries attempt to use those microeconomic projects as a springboard for broader macroeconomic concerns. 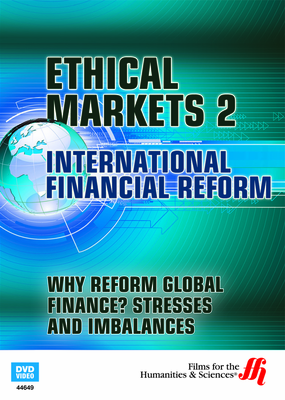 Why Reform Global Finance? Stresses and Imbalances—Ethical Markets 2 looks at the transformation of the foreign direct investment (FDI) landscape since the late 20th century, and examines the factors impacting the performance of those projects into the future. Sustainability issues h as environmental and human impacts to those projects is looked at in relation to the general economy, and the long term value of those ethical issues in relation to market growth. Case study analysis of projects in Africa and other underdeveloped contexts where some projects funded by the World Bank and private direct investors resulted in cancellation due to disruptions in the political landscape. The consequences to mounting debt and slow financial reform are substance to the investigation by Hazel Henderson who looks at the growing need for global finance reform. 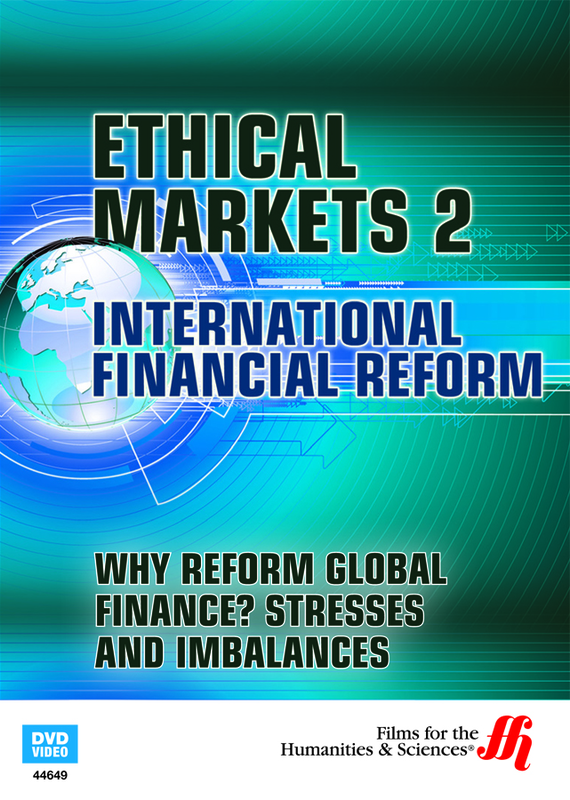 Why Reform Global Finance? Stresses and Imbalances—Ethical Markets 2 (Enhanced DVD) is part of a series of films exploring the affects of economic policy on international FDI projects in developing markets.